In the year 2007 , my hubby brought back some gifts for me from Taiwan . 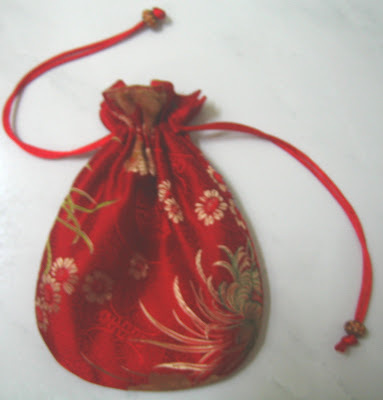 A lovely small red drawstring bag and two Japanese pattern books. I love the small pretty bag very much.Its measurement is 5 1/2 in. x 7 in.Every Chinese New Year, I fill the bag full with red packets. 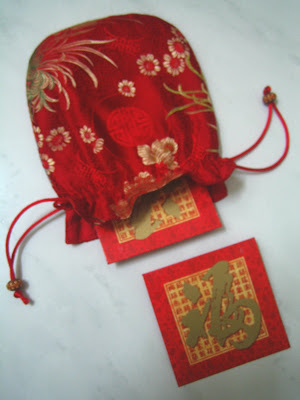 It is a Chinese tradition for the elders to give red packet filled with money to children during Chinese New Year. My hubby knows that I love Japanese pattern books.I could not get any of these books in the small town I lived in. If I want to find those books, I need to travel quite a long distance to other big towns to get it. When My hubby saw pattern books in one of the Taiwan bookstore , he simply picked up two. The contents of the LADY BOUTIQUE mostly are styles for early spring.Since the climate in Malaysia is summer throughout the year, some patterns do not really suitable for us in Malaysia. I love the second pattern book because most of the patterns are pretty summer blouses. Hi, PY! The red drawstring bag is simply beautiful. 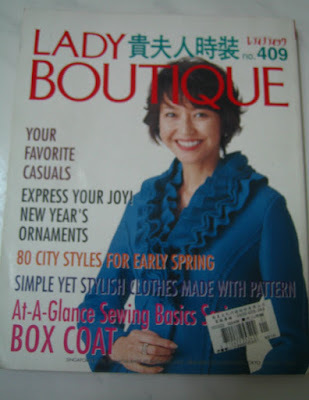 And wow, this is the first time to see the "Lady Boutique" pattern book in English! (I've always seen it in Japanese). Hi, Chick Chick , thanks for stopping by. The cover of the book is in English but the contents are all in Japanese. I can't read Japanese language but some of the japanese words are exactly the same as Chinese words, for example :袖，布，前，厚 and etc. I think Japan pattern books are wonderful and I always cannot resist myself from buying them. Two pieces dress for myself .